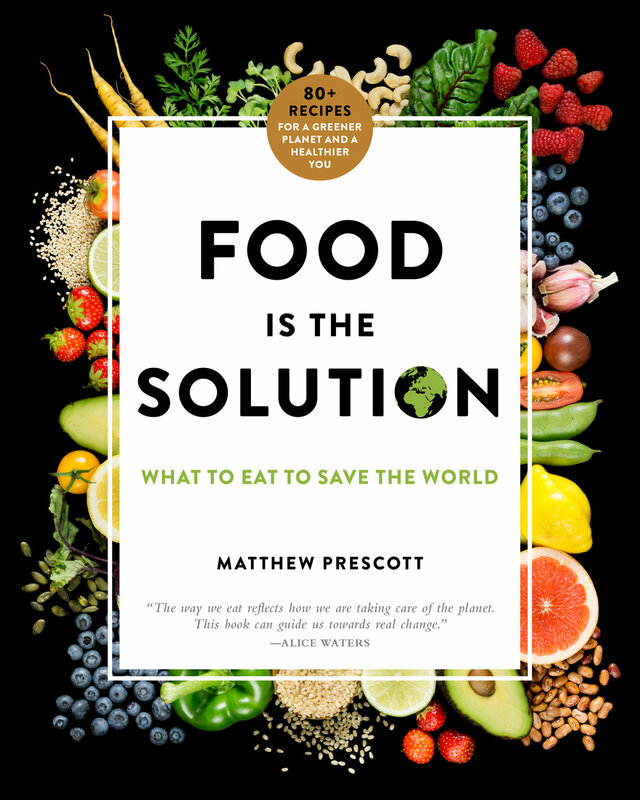 Click here for Flatiron Books' press release about Food Is the Solution. Feel free to download video then post it directly, or share using the YouTube links below. Or want to simply share the author's Facebook post? Click here. How about his tweet? Click here. And please consider including this link when you post: FoodIsTheSolutionBook.com. CLICK FOR CUSTOM VIDEO THUMBNAIL IMAGE. 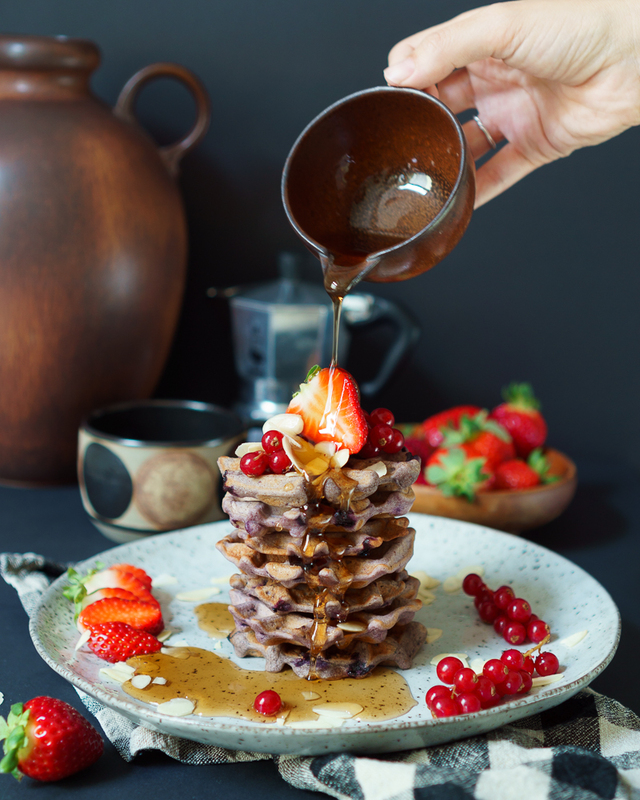 More than 60 celebrities, experts, and other notable figures have endorsed Food Is the Solution, including: Paul McCartney, Alice Waters, Wolfgang Puck, Dr. Oz, Tea Leoni, Emeril Lagasse, and the heads of virtually every major environmental organization. Click here to see all endorsements. 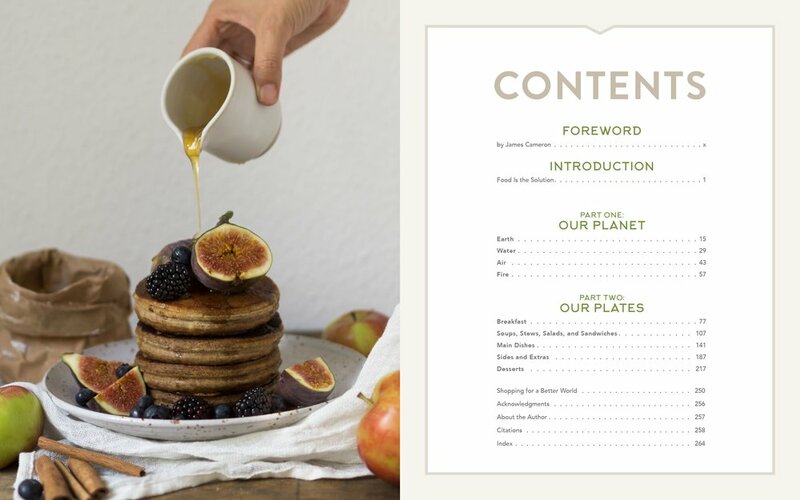 Below the front/back cover mechanical + three sample page spreads from Food Is the Solution. Click images to enlarge/save. Click an image to enlarge it, then right-click to save it. Higher-res versions are available upon request.